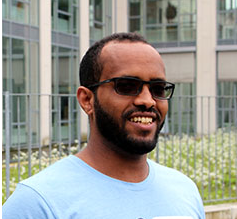 Tensay Hadush is a Research Fellow at the Environment and Climate Research Center (ECRC) based at the Ethiopian Development Research Institute (EDRI). Tensay together with ECRC and The World Bank has conducted a large household survey on electricity and water use in Addis Ababa in 2016 and this data set is being used as a pilot test for EfD/ECRC and SND collaboration. Tensay’s research interests are energy and behavioral Economics, applied econometrics and impact evaluation. Tensay is also an Assistant Professor at the Department of Economics, Mekelle University. He completed his PhD in Economics from the University of Gothenburg, Sweden in 2017.